How do schools celebrate student success? Learn how six LiveSchool users engage students in PBIS with inventive incentives! Teachers have always found ways to recognize student achievement. But with LiveSchool, your entire school can work toward a range of prizes, without requiring teachers to track points by hand. Since the app handles all the logistics, your school can enjoy a whole new range of student incentive ideas. Plus, the school-wide point system is inherently fair and easy to track. Here are 6 creative ways schools around the country are recognizing students in all grade levels - going way beyond “100%” stickers. I think it is easy to see why kids would be motivated to save their points to purchase this reward. 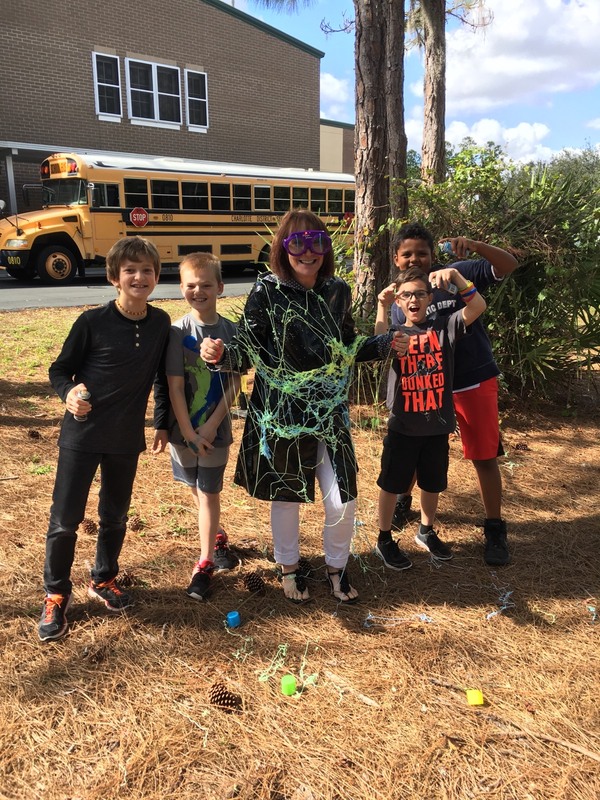 ‍Kingsway Elementary students get to Silly String the principal when they earn enough points. She’s learned to wear protective glasses. Team rewards, like outings to the movies or a local restaurant, highlight the success of an entire class. Plus, they could serve as an attractive bonus for quieter students who aren’t so jazzed about getting to read the morning announcements. Creekside Middle School in Fairfield, Ohio, offers building-wide awards: when students earn 100 points, they celebrate with a group excursion that gets them out of the classroom, and into a teamwork mindset. 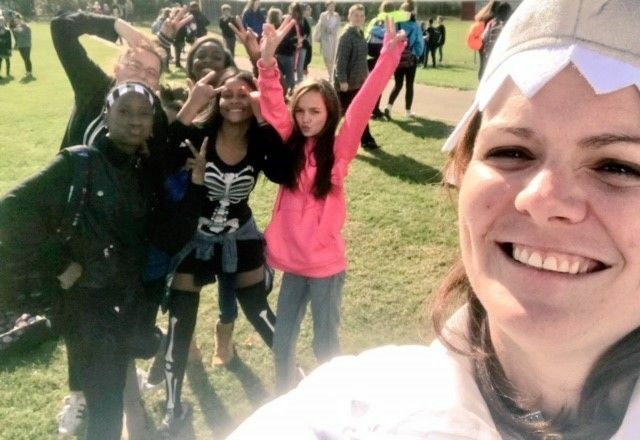 Principal Keri Franchini, at Creekside Middle, knows the recipe for a great incentive involves being outside and taking a selfie! Sara Brady, principal of Marion County Knight Academy in Lebanon, Kentucky, uses whole school events to boost student engagement in PBIS. Her most popular event is a school dance where the admission is 40 LiveSchool points. Once student's are in the dance, they can also “buy” food and school swag with points. The event becomes more about rewarding genuine effort, and less about paying an entry fee. Create a project that brings multiple grades and faculty together. 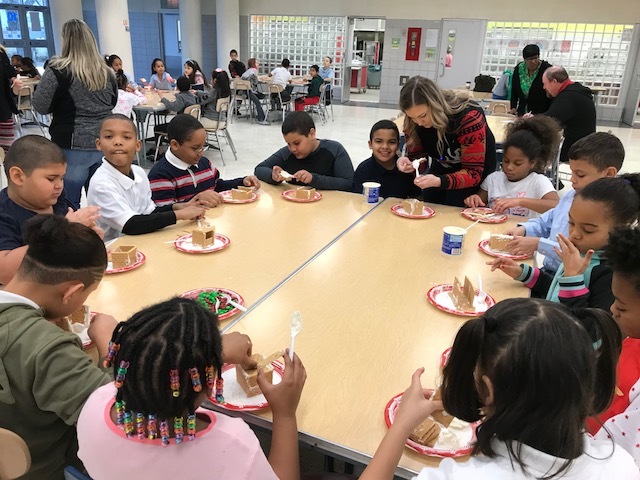 Last December at Hannah Penn K-8 in York, PA, students were rewarded with a “Power Hour” that included hot chocolate and cookie decorating. Intervention Coordinator Ashley Miller loved seeing students collaborate with peers in different grades. The students of Hannah Penn K-8 were laser-focused on constructing stable gingerbread houses. Students at KIPP Endeavor LOVE the School Store. We run it through LiveSchool, making the process easy for teachers to manage. Even though every individual earns their own points, the celebration can include the entire class, or the whole school. Regardless of grade level, every LiveSchool student has the same potential to earn a moment in the spotlight. You’ve probably come up with your own classroom rewards. As always, we’d love to hear your ideas for student recognition using LiveSchool! Tweet us @whyliveschool your rewards and YOU might be highlighted in the next blog post!